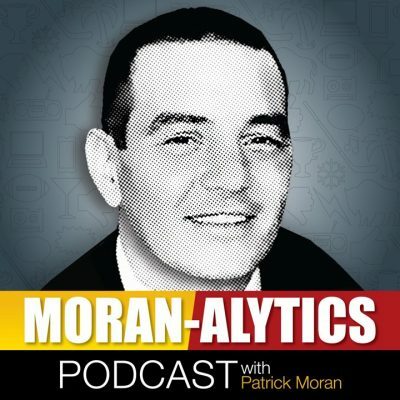 On this episode of the Moran-Alytics Podcast, Patrick Moran interviews former nine-year NFL veteran guard Kraig Urbik about growing up, the process of getting to the NFL and his time with the Buffalo Bills among several other topics. Urbik played six seasons in Buffalo including several as a starter. He talks about being part of an unheralded unit that helped pave the way for impressive Bills team rushing totals despite the lack of overall team success and recalls a few of his favorite Buffalo memories, including the blizzard that forced the team host a Monday night game in Detroit. He also reveals that he’s very much still a Bills fan and recalls getting to finally see an actual Buffalo pre-game tailgate after retirement. Kraig also talks about growing up as a kid who started playing football in middle school and parlaying his size and worth ethic into a scholarship at Wisconsin, becoming one of the best offensive linemen in the conference. He finishes with the traditional Moran-Alytics Podcast Mini-Lightning round and we learn about a few of his favorites; including Peaky Binders, London, Eric Wood and Anthony Bourdain. Follow Kraig on Twitter @KraigUrbik. After the chat with Kraig, Tone Pucks joins for another installment of “Pat with Pucks.” Today the guys are discussing all of the Bills free agent additions as a whole and how much they think it improves the team, particularly on the offensive line. Tone (@TonePucks) tells his legion of 132 Twitter followers that he’s liked every acquisition, including Frank Gore and gives his theory on how the running back situation will play out. They then turn their attention to the Buffalo Sabres and as expected the mood quickly goes somber. Pucks reiterates his disdain for Phil Housley as the head coach while Moran wonders if this train wreck of a season half will ultimately cost the team being able to re-sign Jeff Skinner. Tone finishes with a Sabres related “Puck Drop” containing uncharacteristically evident emotion.